Looking for a Magento expert that can not only review performance of your Magento store, but can also optimize it for higher performance and better functioning? 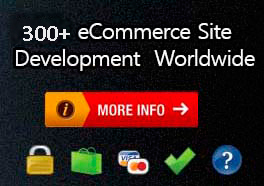 Nano It World is the company that can offer solutions to all the Magento related requirements. The company offers high quality performance review and Magento store optimization services at affordable rates. Performance optimization services enable ecommerce store to process the page quickly, transfer the content quickly and render the page on different browsers quickly. The team helps clients identify performance problem areas in their ecommerce stores and addresses them with a customized site optimization system. This helps clients meet their various objectives like to get desired traffic, branding, cost saving, better customer service and other online marketing objectives. The company has a thoroughly selected set of actions to speed up Magento stores and making it robust. Magento experts working with Nano It World does site implementation while keeping performance and website's total revenue potential in mind. The first step in the performance review and optimization process is to take out a thorough analysis of the store. This helps the team check out site’s usability, user experience, its navigation, look, functionality, readability, calls to action and their placement, credibility and customer engagement metrics. The Magento experts at Nano It World find out whether all these are performing well and meet with general standards of the web usability. Website performance analysis and evaluation also includes audit of site’s SSL security, landing page download time, browser compatibility, level of server downtime and the Content Management System (CMS) used by the clients. Next step is to check out functionality and look of the landing page and to optimize it for improved performance. In this competitive online market, it’s must for ecommerce website owners to have a stylish and updated website. Talented team of artists at Nano It World create appealing and effective website designs with superior graphic designs and compelling content that result into increased customer engagement. 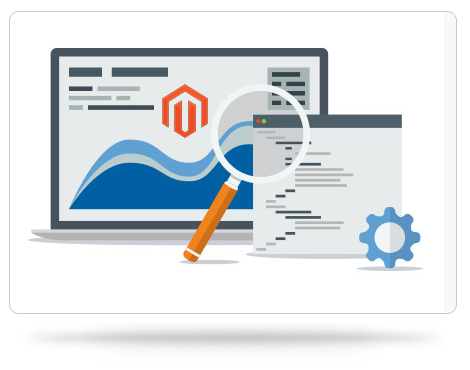 Our expert developers add a large number of gadgets and features to the Magento website to enhance its appeal as well as customer engagement. Some of these include videos, attractive product images, live customer support, special catalogue viewers, widgets and various other such customized tools. Nano It World determines several such available options and new features to augment store performance and help clients meet their business goals. Based on the analysis reports, the online marketing team suggest steps to improve online marketing strategies and helps clients achieve their objectives. Contact Nano It World today only to discuss your requirements and to talk to the project manager.